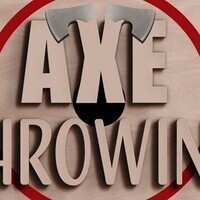 We will be taking a trip to The Axe House to throw some axes at targets. We'll start with a training session where they will teach us how to throw the axes, followed by free throwing time. Sign up at the UC front desk with your student ID for $10. Transportation is mandatory and will be leaving from the UC Parking Lot at 4:30. Everyone that signs up is required to fill out the waiver at www.vantora.com/e/tah/waiver/default.asp?ev=95366934 for the Axe House.